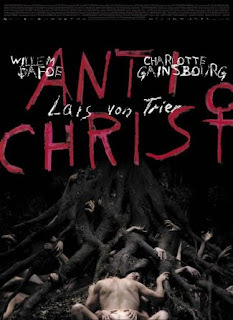 Antichrist by Lars von Trier opens today. It's obvious from the interviews that the director was in a disturbed state when he made this film. A nervous breakdown perhaps. 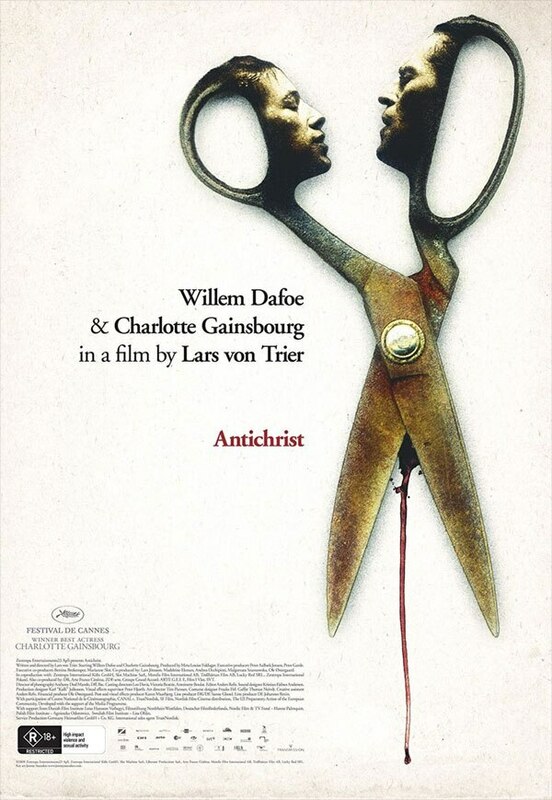 This is certainly a shocking film filled with moments of horrific violence and yes mutilation. Let me just say this poster is a good hint of things to come. I would never, never recommend this to a broad audience, and if you are the squeamish type stay far far away. But there are some rewards there for those who enjoy bold filmmaking. Just don't say I didn't warn you.